If you believe that you have been wrongfully terminated, then you have the right to file a lawsuit against your employer for wrongful termination. The California Labor Law Employment Attorneys Group wants to ensure that you have the proper representation so that you get the compensation to which you are entitled. California is an at-will state, which means that you work at your place of employment because you want to and have the ability to quit at any time for any reason. However, being an at-will state also gives employers the ability to terminate your employment for any reason or no reason at all, as long as the reason (or lack of reason) is not against the law. Even though employers have the right to fire you without rhyme or reason, the underlying factor which caused them to act against you may not be against the law. There are many laws which protect the rights of employees, from written employer-employee promises, discrimination, retaliation, and whistle-blowing. These laws exist because employers will, at times, take advantage of their higher power if they feel that they’ve been wronged or hold a bias against a certain type of person. When employers act against their employees, the employee may feel there are very few options available to them. We are here to promise you that that is not the case. An employment lawyer will know if your employee rights were infringed upon and help you get the proper compensation you deserve for your employer’s unlawful actions. The Los Angeles Unified School District (LAUSD) must also adhere to these laws. If you work for the LAUSD were terminated, and you feel that your employer disregarded the laws which were meant to protect you, give the California Labor Law Employment Attorneys Group a call to see all the different ways we can offer our services to help you. Contracts or written promises are legally binding documents to which your employer must adhere. This employee contract may be enough to prove that you are not an at-will employee. Employers that violate the contract have broken the law and employees can take action. If there exists a written contract which states that it offers job security or that you will only be terminated for a just reason, and the LAUSD then fires you without cause, then you have a strong argument against your employer and you may have the legal grounds to file a lawsuit against your employer. Whether your employer broke employment practices (like giving you a warning before terminating you). Making conditions for the employee worse and essentially forcing them to quit on their own accord. It is illegal to treat employees who belong to a protected group of people differently than any other employees. Under federal law, it is unlawful for employers to treat these employees unfavorably. The LAUSD cannot discriminate against you because of your race, color of skin, country of origin, gender, religion, age, disability, pregnancy, genetic information, or sexual orientation. In some states, like in California, discrimination encompasses more characteristics like gender expression/identity. There are statutes of limitations when it comes to filing a lawsuit against the LAUSD, so it’s recommended to hire an employment lawyer who will not only explain all time limitations but also help provide to you the necessary representation. 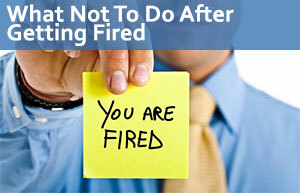 Your employer’s action had a direct effect on you – for example, that you were, in fact, terminated. There are whistle-blowing laws which protect employees that report illegal activity from the employer. Employers that partake in activity that harms the general public, or is illegal, cannot retaliate against an employee if the employee finds out and reports the activity. For example, if you report that the LAUSD is illegally dumping hazardous material into the local river, your employer is not allowed to take action against you. If they do, then they have broken the whistleblowing laws meant to protect employees. The California Labor Law Employment Attorneys Group is here to help you get the restitution you deserve for your employer’s illegal actions. We will ensure that justice gets served if the LAUSD wrongfully terminated you. We offer free consultation, which gives you the chance to sit down with one of our lawyers and explain your case to them. Our attorneys will give you their initial thoughts and all the information you need to make an informed decision. We also offer the zero-fee guarantee which is our promise to you that we will not charge you unless we prove your case and get you the compensation you deserve. If we do not win, you do not pay. Contact the California Labor Law Employment Attorneys Group today to see what we can do for you.